WASHINGTON, D.C. — Multiple nations, including China, are capable of shutting down the computer control systems used to operate the power grid and other “basic infrastructure” in the United States, the director of the National Security Agency (NSA) warned on Thursday. 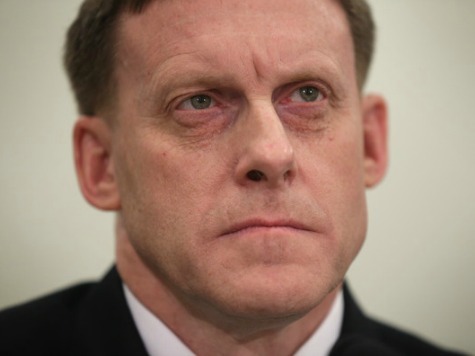 While testifying before members of the House Select Intelligence Committee, Adm. Michael Rogers, NSA director and commander of U.S. Cyber Command, said he agrees with the prediction by technology experts cited in a Pew Research Internet Project report that a major cyber attack causing widespread loss of life and financial harm would occur by 2025. He also warned of an upcoming “troubling” trend involving the use of criminal actors as “surrogates” by countries seeking to cover their tracks when attempting to infiltrate U.S. computer systems. Adm. Rogers told lawmakers that besides China, “probably one or two” other nations already have the capability to shut down infrastructure control systems in America. Rogers said the identity of the other countries is considered classified information. Getting into the control systems “enables you to shut-down very segmented, very tailored parts of our infrastructure and forestall the ability to provide that service to us as citizens,” said Rogers. China’s economic cyber espionage … has grown exponentially in terms of volume and damage done to our nation’s economic future. The Chinese intelligence services that conduct these attacks have little to fear because we have no practical deterrents to that theft. This problem is not going away until that changes. According to outside experts, U.S. Cyber Command is also capable of carrying out cyber attacks against foreign infrastructure systems, which in theory should serve as mutual deterrence. The Chinese government has officially denied any involvement in hacking U.S. computer systems. On Friday, Hong Lei, a spokesman for China’s Foreign Ministry, said the Chinese government “forbids” cyber attacks and accused the U.S. of hacking into their computer systems.